Back in 2011 when I was searching for an easy way to earn money online, one of the few programs I came across was survey sites. At the time, there was a lot of them. Most of them promised that you can make tons of money just by working for less than 5 minutes a day. All you have to do is give your opinion on the questions they ask and you can make money… At least, that's what they said. Well, most of these sites turned out to be scams. Some of them that actually paid closed up after a few months. To be honest, taking surveys isn't an online business I see myself doing. I can't imagine sacrificing a lot of my time to earn peanuts online. Affiliate marketing pays me better and I don’t have to spend long hours doing surveys. Some online survey sites are legit, but what they pay is too small. Some will pay you around $1 for a survey that takes up to 15 minutes. I don't know about you, but that's not the way I want to spend my time earning money online. Recently, another survey site known as Rewards Buck was introduced. According to them, they are better than other survey sites. There has been a buzz about this website in recent times by survey site lovers. If completing surveys is your thing, this article will show you exactly how Rewards Buck works. You will also learn if Rewards Buck is a scam or legit. Keep on reading to find out more. Rewards Buck is a website where you complete various tasks and get rewarded with “free gift cards” you can use for shopping. The site was launched in March 2018 and operates with the Get Paid To (GPT) model which means it provides so many ways a user can earn money from various tasks. Most GPT sites don't limit themselves to just surveys only. A lot of them provide other ways you can earn money such as through listening to music, making a call, downloading an app, music, or video, surfing the web and even recruiting new members. Like I mentioned above, Rewards Buck was launched just in March 2018, this means they are not up to one year in this business. To the best of my knowledge, most GPT sites always turn out to be scams. However, I will take a holistic review of Rewards Buck to find out if it is a scam or not. You will find out more about this program in the next section. How Does Rewards Buck Works? Rewards Bucks is a GPT website. You can sign up for free. However, you don't earn money unless you complete the tasks listed on your dashboard. When you open your account with Rewards Buck, they will instantly reward you with what they call “RB” points. You will receive free 100 RB points just for signing up. Well, this isn't bad. I have no problem with offering free points, we will have to find out if you can actually convert these points to money… So let's keep diving in. Rewards Buck provides free and paid offers. In most free offers, you are required to join a free site or opt-in to a mailing list. Completing such offers will earn you $.25-$1 depending on the offer. Nothing is said about what they are going to use your email address for. But one thing is for sure, you will receive tons of unsolicited emails after you join such free sites. So it is recommended you use a fake email address and not your main email address. They also provide paid offers which involve making a purchase or putting your credit card details. You can earn anywhere between $1 and $10+ for these offers. When you put your credit card details, they will charge you if you forget to cancel your membership. Besides, who knows where that information will end up. Just like expected, there are tons of surveys that you will be required to complete when you join Rewards Buck. These surveys are made available by 3rd party providers and you can earn between $.25 and $1 for each survey you complete. However, you must ensure you are qualified for such an offer before you can complete it and actually get paid. You can boost your earnings in Rewards Buck by downloading and installing apps on your smartphone. On your dashboard, you will see a list of apps that you need to download and install on your phone. You will get paid once you download the app and reach the requirements. However, you should get ready for tons of annoying ads. In my experience, most of these apps will bombard your smartphone with tons of unsolicited ads. You will also get paid (Cashback) from shopping at any of the stores own by Rewards Buck partners. Each time you shop at BarkBox or the Disney Movie Club, you will earn points that you can later redeem. You earn cash back on anything you buy from their partners. Like I mentioned above, you earn points for every task you complete on Rewards Buck. Once you join this website, you will need to gather as many points as possible. However, Rewards Buck will not pay you until you have reached at least 1,000 points. Once you have 1,000 points in your account, you can now exchange them for $10 gift cards. You can get gift cards you can redeem at Walmart, Amazon, Target, Best Buy, Burger King, Game Stop, and even IHOP from Rewards Buck. If you want physical items such as T-shirts and mugs, they can send it to you as well. After you've accumulated up to 1,000 points in your account, you can go ahead and request for a payout. It takes them about 7 days to send the gift card to you. Unlike most survey programs I have come across, Rewards buck doesn't have a referral program. Most survey-site lovers make a bulk of their money by referring other users. Thus, this is a huge disadvantage. This means your earnings on this site will be incredibly low. It will take a long time to accumulate 1,000 points and get a pay-out. Besides, there are limited ways to earn thereby making the time it will take to get to that 1,000 points even longer. Finally, it is very important to mention that you CANNOT get a cash payment from Rewards Buck. The only thing they will pay you is a gift card which you can only use for shopping. Is Rewards Buck a Scam? No! Rewards buck is not a scam. The site is completely legit. So far, they have been keeping to their word. The earning here is comparable to the proverbial peanuts. However, you are sure to get what you earned on Rewards Buck as far as you reach the payment threshold. Having said that, Rewards Buck is the best option to earn money online if you are serious about making money online. In fact, it doesn't even come close. Nobody that is serious about making money online will settle for spending long hours just to earn gift cards. If you are really serious about earning money online so you can experience financial freedom, you should learn how to do affiliate marketing. Sure, Wealthy Affiliate is the best alternative. This program has been online since 2007 and has made a lot of people a millionaire. It is a free program where you will learn exactly what it takes to build a 5 to 7-figure income business from home. 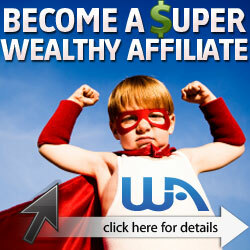 You can join Wealthy Affiliate for free. This means you risk nothing. If you are ready to spend a few hours per day on your business, then you can make it on Wealthy Affiliate. Click the link below to find out more. Walmart Affiliate Program Review: Full Details! Hey, Welcome to Affiliate Bootcamp! 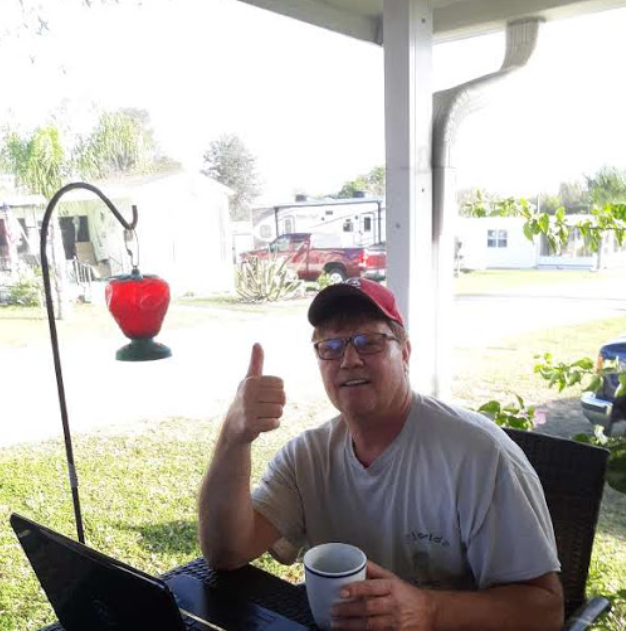 This is my website where I'll share with you how a truck driver found a simple 4-Step System to make REAL Money Online. Offervault Review: Do I Need Offervault As An Affiliate Marketer? © 2019 by Affiliate Bootcamp. 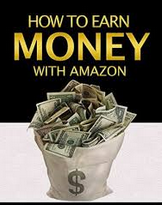 Discover the 4 simple steps to make real money with Amazon selling other people's stuff..